Thank you to our wonderful Pecan volunteers! | Glenwood, Inc. Here at Glenwood, Pecans are a big deal. 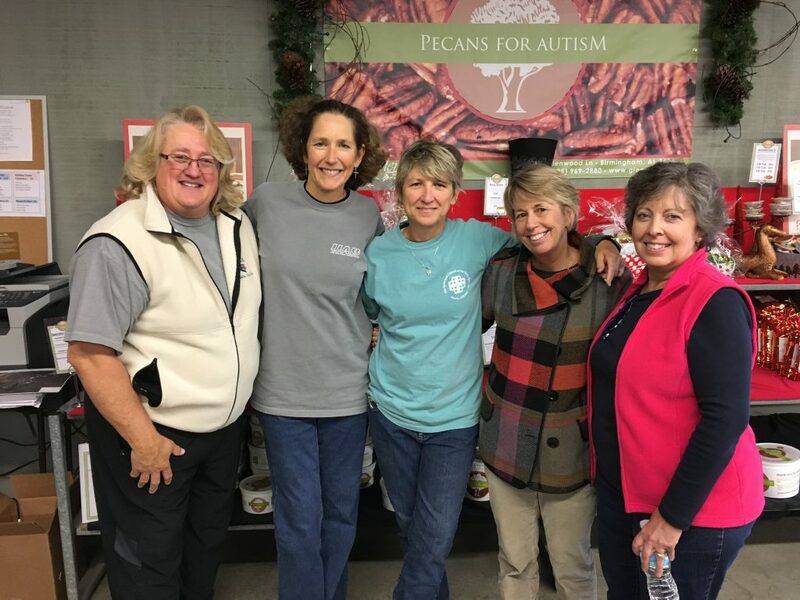 The Pecans for Autism initiative takes a lot of work and love for it to succeed and we are blessed each year to receive so much support! Yesterday, we were lucky enough to have these five wonderful women from UAB and Holy Apostle volunteer their time at our Pecan warehouse. Together, they wrapped and shipped literally HUNDREDS of gift baskets and orders! Sandra Sims, Toni Leo, Susan Jackson, Cissi Bernhard, and Cindy Puchta, thank you so much for your hearts and help. Today, we’re thankful for you! If you would like to volunteer or learn how you can help our cause through Pecans for Autism, give us a call at 205-795-3353. This entry was posted in Autism News. Bookmark the permalink.